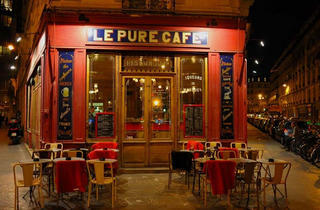 Prunier restaurant and caviar house in Paris' Avenue Victor Hugo is a restaurant of legend. Founded in 1924 and now under the careful guidance of Pierre Berge, the House of Prunier has succeeded in transplanting sturgeon to the waters of the Gironde, so now farm-fresh caviar of the Aquitaine is served alongside classic Iranian. Elegant and moneyed diners may choose the marble oyster bar or mount the majestic staircase to the stunning Art Deco dining room, a space of such beauty and romance you will want to stay and stay. Chef Eric Coisel offers a highly-skilled seafood-focussed menu featuring creations like king crab ravioli with tarragon, beautiful Breton sole Belle Meuniere, as well as truffle risotto and several types of Prunier caviar either chilled or simply prepared. Wines and service are exemplary. 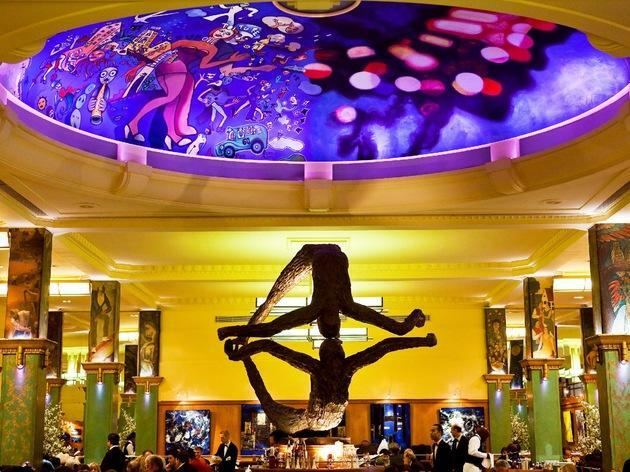 Le Vaudeville is one of the few remaining grand Parisian brasseries decorated in the Art Deco ‘Années Folles’ style by the Solvet brothers. With mirrors, mosaics, marble, flamboyant light shades and elegant etched-glass panels, its charms are far from lost by the locals from the nearby stock exchange and Agence France Presse. 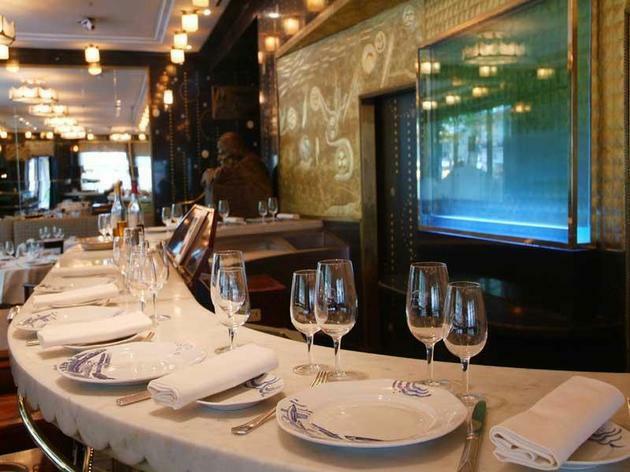 Lunchtimes at Le Vaudeville are filled with news and business discussions over the dish of the day. Whilst in the evening, conversation of the convivial crowd turns to theatre and the arts. Built in the 1800s, Le Vaudeville was originally the bar of the theatre with the same name, and a great Parisian dining experience. 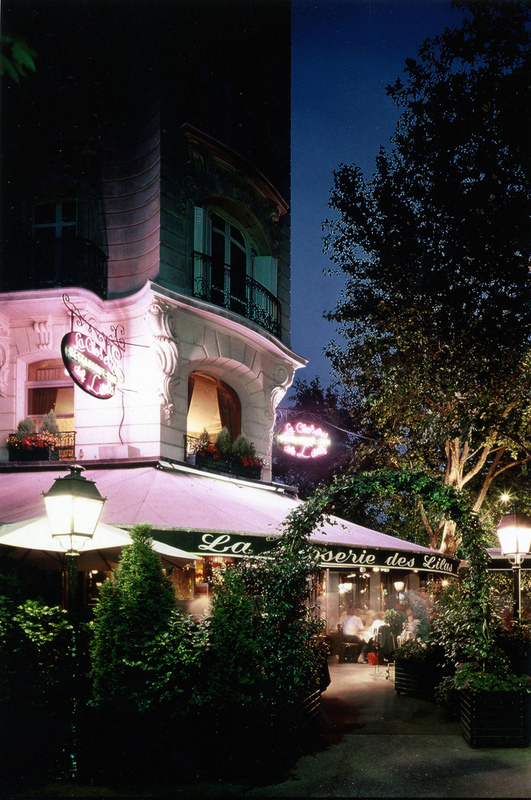 La Coupole in Montparnasse is the grandest of grand Parisian brasseries. An Art Deco triumph on an extraordinary scale, its famously vast dining room was once regularly graced by the top tiers of the artistic Rive Gauche set like Picasso, Jean-Paul Sartre and Simone de Beauvoir. People still come here from all over the world, to marvel at its splendour - all 1000 square metres and 33 pillars of it - and to people watch, a timeless La Coupole pastime. The terrace tables in particular are perfect for watching life go by over a coffee and a crêpe Suzette. 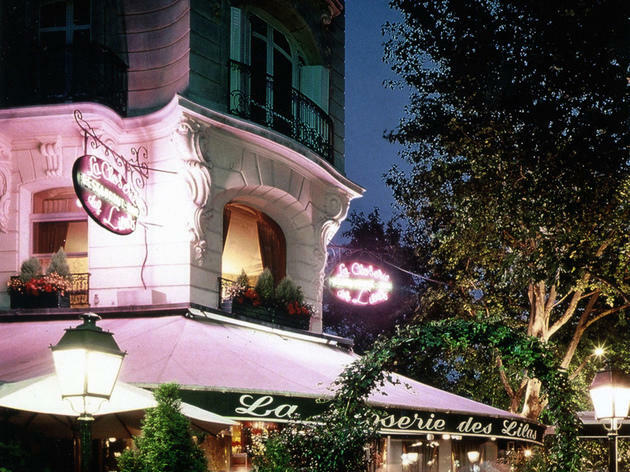 If you want an absolutely classic Parisian grand brasserie experience without spending too much, try La Couple. 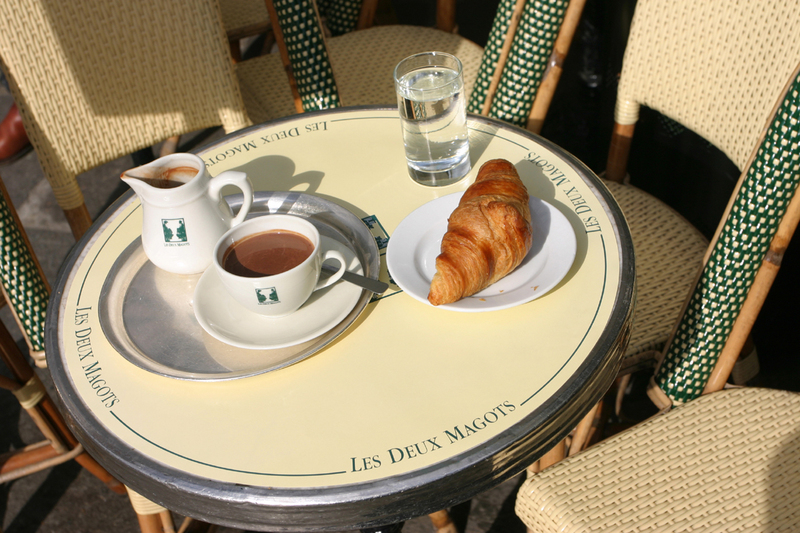 Ernest Hemingway once drank dry sherry with James Joyce at Les Deux Magots. 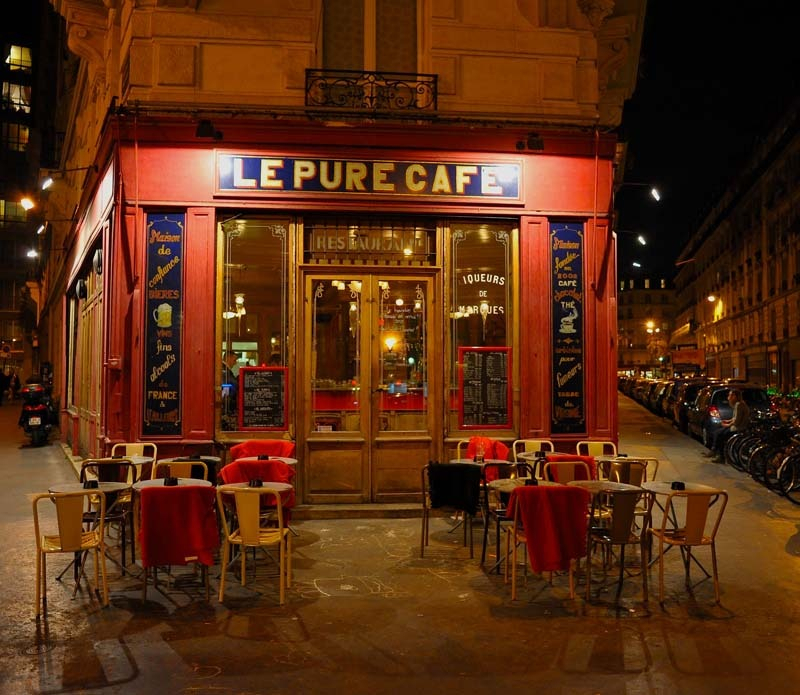 Paul Eluard presented Dora Maar to Picasso here in the early '30s, and French author François Mauriac used meet here with André Malraux in the '20s and '30s. 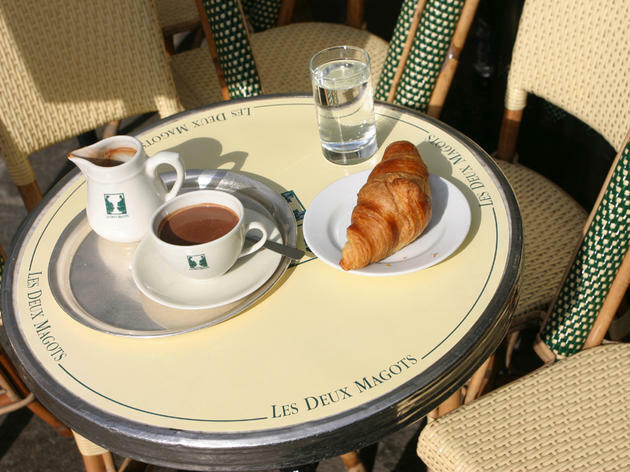 You’ve got it, Les Deux Magots is one of Paris’s legendary cafés where the movers and thinkers of early 20th-century Paris met, talked and made merry. Sartre and Beauvoir would also add their legacy to the list from 1939 onwards. If you’re looking for a slice of this today, head inside, where the décor looks largely unchanged since Hemingway’s time. Shame you can’t say the same for the prices: nostalgic drinking costs €7 for a glass of Chardonnay and €7.50 for a small beer. 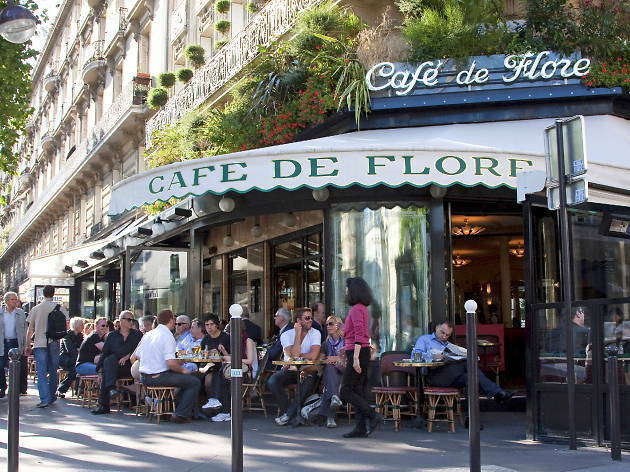 More art deco in style than the Les Deux Magots next door, the Café de Flore looks just as it did when icons like André Breton, Picasso, Giacometti and Zadkine graced the tables, with geometric light fittings, square mirrors and red banquettes. Like its neighbour, a string of other artists, politians and celebrities used to meet here, and like its neighbour you pay for the legacy through your teeth (€5.60 for a Coca-Cola, €19 for a club sandwich). But it’s a Parisian experience to savour at least once in a lifetime and an opportunity to imagine what life felt like during the Années Folles. 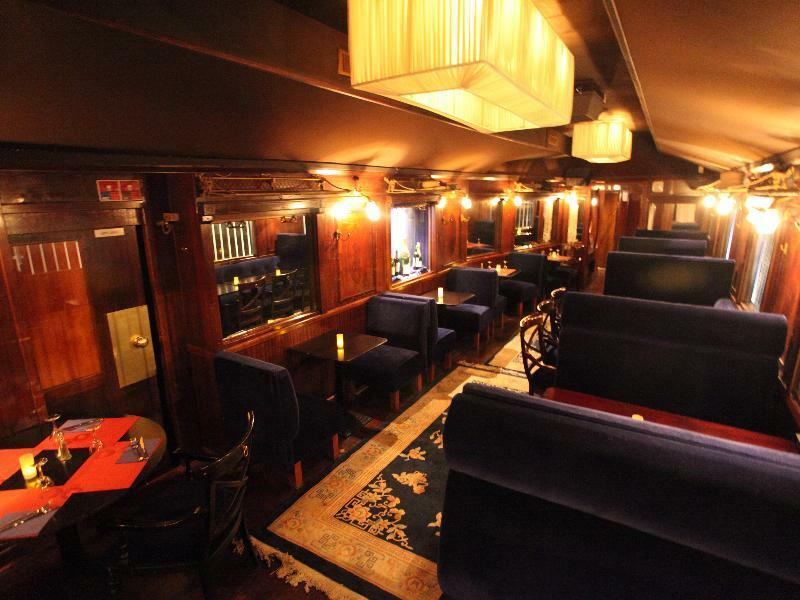 The gloriously nostalgic ‘Blue Wagon’ in the 17th arrodissement is set inside a 1920s carriage from the legendary Orient Express. Cherrywood panelled walls and rich royal blue banquettes, set either side of neat wooden tables, look just as they did 90 years ago – even the original overhead luggage rack remains. On the menu, expect a mix of French classics like steak frites alongside Corsican dishes like figatellu rôti (roasted Corsican sausage). Lunch is steal at €11 (for the dish of the day and coffee); or expect to pay €30 for three courses in the evening. 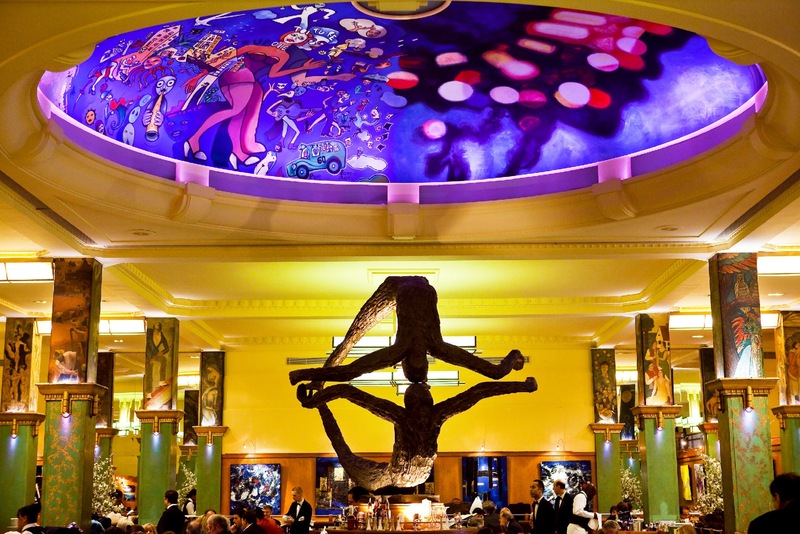 If you don’t want to eat here, you can still bask in art deco splendour at the bar where a popular happy hour keeps the locals entertained everyday from 4pm to 9pm. 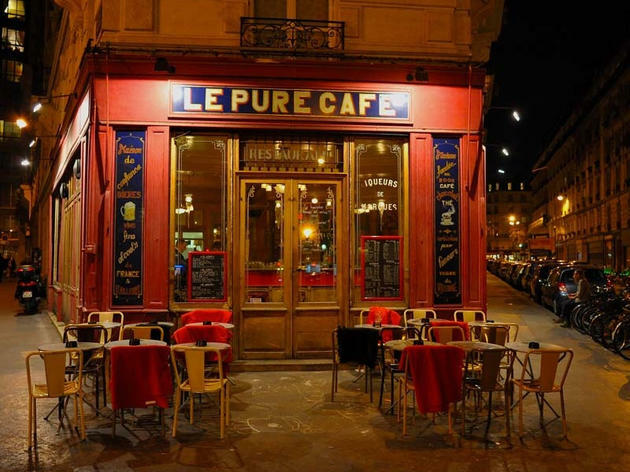 Time stands still in Le Pure Café, a coveted neighbourhood haunt in the 11th, dressed up to the nines in 1930s era lights, mirrors, tiles and a gigantic zinc bar, around which trendy waiters bustle between the tables. 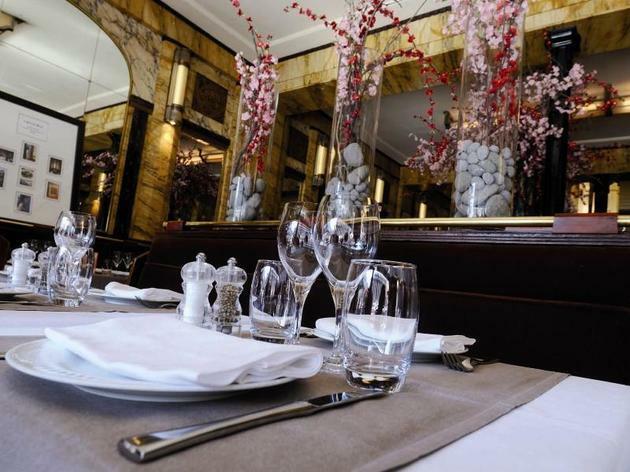 Set on the corner of rue Jean Macé, three huge bay windows frosted with art deco flowers filter light into the dining room, where Le Pure serves homely vintage dishes like duck in honey sauce, lamb chops roasted in rosemary and pears poached in red wine. Just as comforting is the chocolat chaud, made from rich melted chocolate. 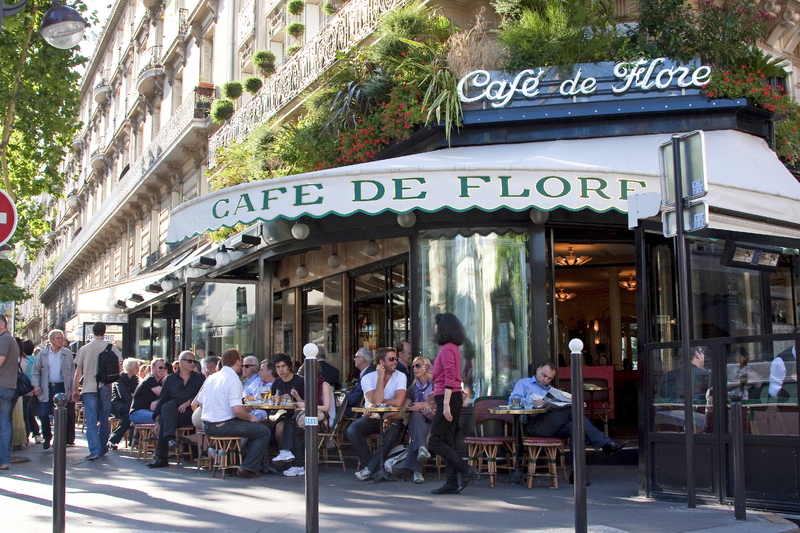 On a sunny day, grab a spot on the terrace and watch the world go by along bustling rue Faidherbe, just across the way. Like other Left Bank institutions (namely Les Deux Magots and Le Café de Flore) the Cloiserie des Lilas was where the intelligentsia hung out in the early 20th century: A bust-up between André Breton and Tristan Tzara marked the end of the Dada movement here in 1922; then the Surrealist crowd moved in, along with literary expats like Miller, Fitzgerald and Hemingway, who said that the Cloiserie was 'one of the best cafés in Paris'. A bronze plaque engraved with Hemingway’s name (in the piano bar) commemorates the author’s patronage. The literary flame is kept burning too, thanks to the Prix de la Cloiserie des Lilas – an award for 21st-century, French-language, female authors. If you're hungry, try the well-prepared fare like smoked haddock and spinach (€25), and rib-eye of steak (€30) – all served to well-heeled crowds throughout the day.